On Thursday 4 January this year Margaret Hanvey (77) from Larne took a phone call from her daughter Alison. Alison was running late to pick up her daughter, Katie (16), from school and asked if Margaret could collect her. They agreed that Margaret would collect Katie at 3.30pm and the family would all meet at Alison’s at 4pm for a coffee. The few hours that followed were certainly not what anyone expected. Having collected her granddaughter, Margaret drove Katie home, parked in Alison’s driveway and they both got out of the car. Unfortunately, the handbrake had not been applied and the car began to roll backwards. Katie tried to push the car to stop it while Margaret rushed to try and remove the keys but the car picked up speed and couldn’t be stopped. Katie managed to get out of the way to safety but Margaret had been struck by the car door and was knocked to the ground. She was then dragged by her car along the driveway for some time and sustained a catalogue of injuries. Margaret had broken every rib in her body, broken her shoulder and her left arm, lost her left ear and had suffered a fractured skull as well as numerous fractured vertebrae. She spent four weeks in the Royal Victoria Hospital and endured extensive surgery, including a shoulder replacement. 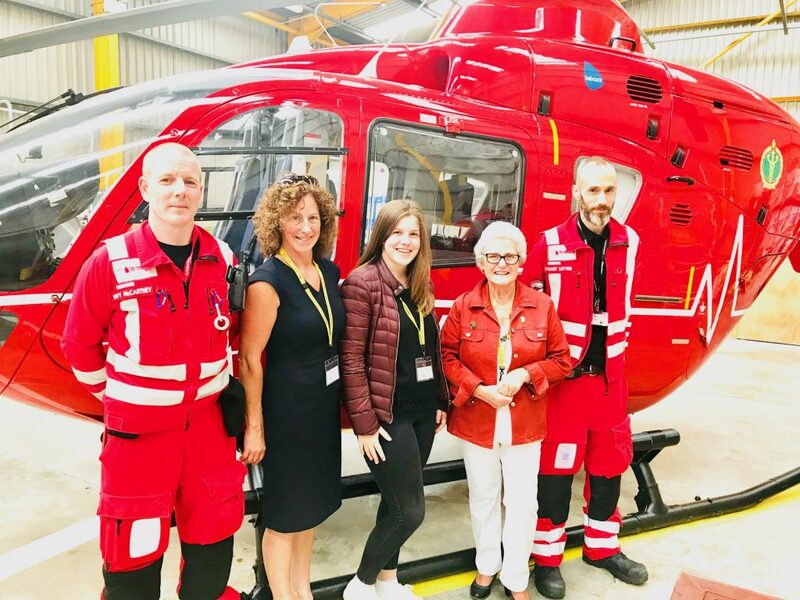 She recently visited the Air Ambulance operational base outside Lisburn and shared her story. She joked: “When I was in the Royal one of the medics asked what happened and I told him I was attacked by a Jaguar!